Lifting operations within the construction industry have always been highlighted by the Health & Safety Executive as an area for constant monitoring and improvement. 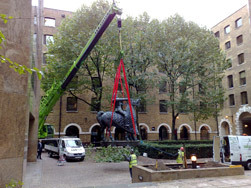 Lee Lifting Services as a professional hirer feel it is important we make customers aware of their responsibilities and have access to high quality advice and services to enable them to carry out their operation in the safest possible manner. All crane hire companies work to the terms and conditions of the CPA (Construction Plant-hire Association) and in accordance with BS7121 (“The Safe Use of Cranes). When hiring a crane from Lee Lifting Services you have the option to hire on a CPA crane hire or CPA contract lift basis. 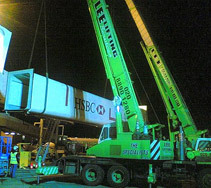 BS 7121 “The safe use of cranes” makes it clear that the hirer is in overall control of the lifting operation and has responsibility for providing suitably trained and competent personnel to ensure adequate planning and supervision of the operation. 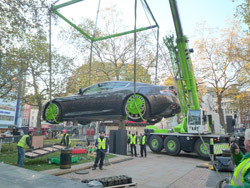 Any advice sought from or given by Lee Lifting Services Ltd does not relieve or reduce the hirers’ requirement to make their own independent assessment with regard to planning, supervising and controlling the lifting operation. It is a specific recommendation that where the hirer does not have the expertise to carry this out they should employ a competent organisation to undertake the work on a “Contract Lift” basis. It is important to note that a CPA crane hire only becomes a CPA contract lift when Lee Lifting Services supplies the appointed person, crane supervisor and if necessary suitably qualified personnel and hence accepts liability for planning and supervising the lift. Choose Contract Lift, your safest lifting option.